Foods rich in vitamin B and iron are very important for your overall health and well-being; vitamin B and iron deficiencies, meanwhile, can cause moderate to severe health conditions. Eating natural, unprocessed foods rich in these vitamin and mineral sources can help keep your mind and body functioning properly. Eight water-soluble vitamins make up what is often referred to as the vitamin B complex: vitamin B1 (thiamine), vitamin B2 (riboflavin), vitamin B3 (niacin or niacinamide), vitamin B5 (pantothenic acid), vitamin B6 (pyridoxine), vitamin B7 (biotin), vitamin B8 (inositol), vitamin B9 (folic acid) and vitamin B12 (cobalamin). Vitamin B is responsible for the proper functioning of your immune and nervous system and healthy cell growth and division. Vitamin B also supports a fast-burning metabolism and the maintenance of healthy skin and muscle tone. 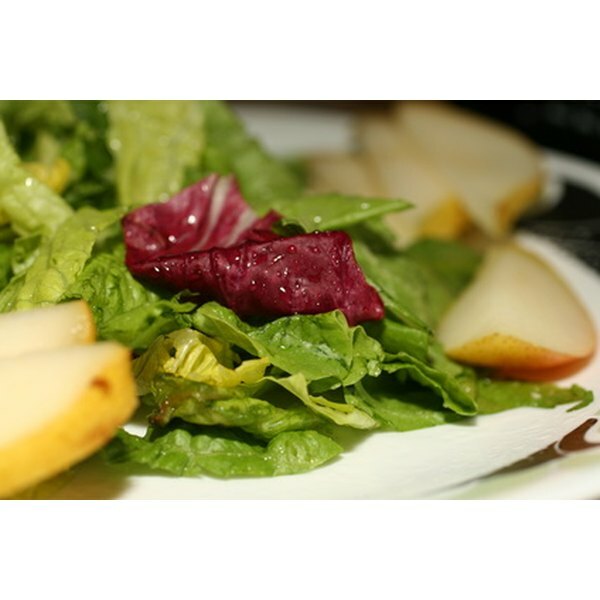 Consider fresh, organic and natural sources when choosing vitamin B-rich foods for your diet. Eliminate as many processed food sources as possible, because they can reduce the potency and absorption of vitamin B. Vitamin B is found in a wide variety of food sources and is thus friendly to omnivorous, vegetarian and vegan diets. Rich vitamin B food sources include whole grains, potatoes, fruits and vegetables (particularly dark and leafy green varieties), beans, lentils, peanuts, dairy products, egg yolks, fish, poultry, red meat and liver. Iron is a mineral vital to your body. Iron is present in every cell of your body and is responsible for the production of hemoglobin, or red blood cells. Iron supports the transportation of oxygen from your lungs to all the cells of body, and helps your muscles store oxygen. Iron also enhances your immune system and metabolism and improves your respiratory functions and mental sharpness. Meat (particularly red meat), fish and poultry are excellent dietary sources of iron. Nuts, seeds, beans and lentils are very good sources of iron, as are apricots, raisins, peaches and dark green, leafy vegetables and whole grains. Choose fresh, raw and natural varieties whenever possible. Consuming foods high in vitamin C — oranges and grapefruits, for example — with foods rich in iron is a good way to ensure you absorb a high level of iron from your food. Iron and B12 deficiencies are not uncommon, particularly in women, and can cause moderate to severe health issues, from fatigue to damage to your nervous system. A diet rich in vitamin B (especially B12) and iron is thus important; taking a daily multi-vitamin and additional supplements can ensure you get the sufficient amounts of these vital vitamins and minerals. Consult your doctor before beginning any supplement regimen or making any drastic changes to your diet.